As much as I love this digital world, I still love getting things in the mail. I’ll admit that I prefer to shop in-store but there is something so fun about clothes arriving at your doorstep. Nowadays there are so many fun subscription boxes out there but I’ve always felt cut off from the possibility of a food subscription box due to having Celiac. 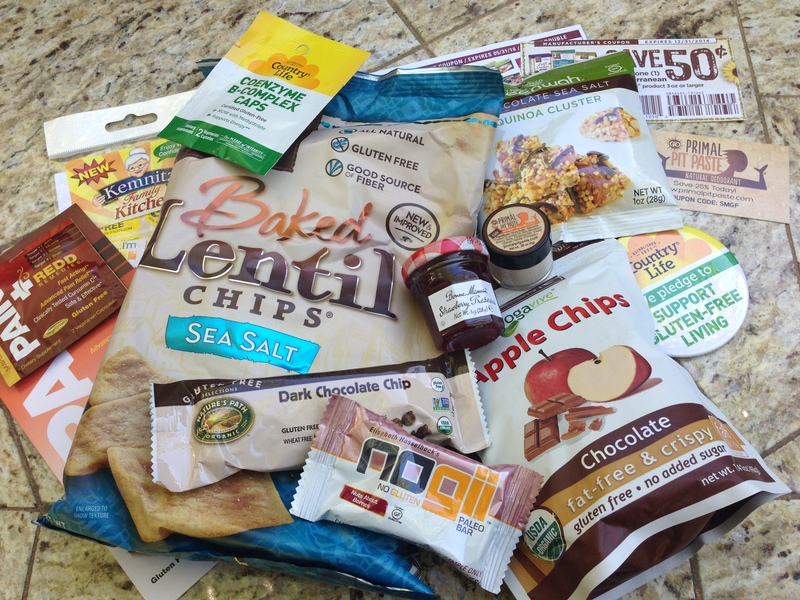 But then I heard about Send Me Gluten Free and was so excited by the idea that each month a box of carefully curated gluten-free items will arrive on your doorstep. I’m that person who loves finding out about new products at the grocery store, so having them arrive at my door is even better! What’s great about Send Me Gluten Free is that they are a totally reputable service as they are the same people behind the Gluten & Allergy Free Expos (which I’ve previously attended and you can read about here) and the Find Me Gluten Free App which I use on a weekly basis! This company really gets what it’s like to be gluten free and you can be assured that they are going to send you great certified items. With this service, each month you are sent 8-12 new full size and sample size gluten free products that range from food to personal care to supplements! Like other subscription boxes, you can pick how often you want to receive this box be it monthly, 3x a year, 6x a year or yearly and the cost varies from $20-$30 a month depending on the subscription you pick. 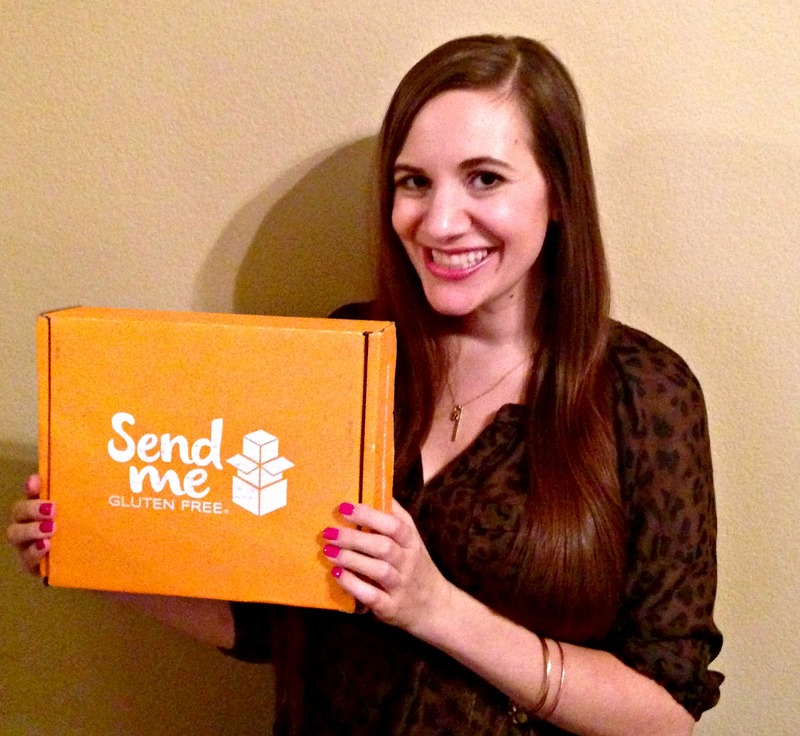 I was really impressed with the quality of this box and the fun products that I’ve never had before! I’d seen Nogii bars before, but never this miniture Paleo one! The flavor was Nuts About Berries and it had a great consistency, reminiscent of a Larabar and only clean ingredients like dried fruit, nuts, seeds, fruit juice and honey. I will definitely be on the lookout for these in the future! I also loved the Chocolate Apple Chips. I eat apple chips all the time but have never seen the chocolate flavor and they were delicious plus the ingredients list was only apples and cocoa powder which was definitely appealing. Although I couldn’t eat the Lentil Chips because I don’t eat beans, I’m told that they were crunchy and salty and impossible to put down! There were also some great supplements that came in my box that I can’t wait to try out. The one negative for me was that because I have multiple food allergies in addition to being Celiac, I wasn’t able to eat everything in the box. However, my family stepped in and loved everything they tried as well! I think this subscription service would also be the perfect gift for friends and family and would be ideal for anyone who is recently diagnosed with Celiac or gluten-sensitivity and isn’t sure how to navigate the gluten-free world. If you are interested in trying the service, you can receive 20% off any subscription-length with the code BLOG20! Disclaimer: I received this complimentary box from Send Me Gluten Free but was not compensated for this post and all views and opinions are my own.